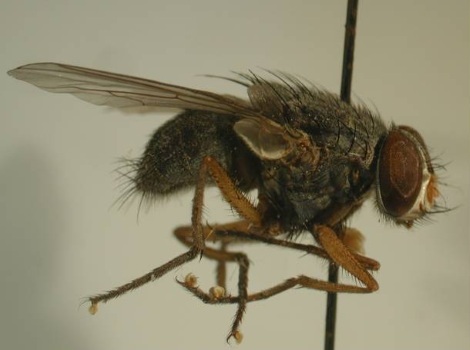 The flies are native to South America and were first introduced to the Islands in the 1950’s. Adult flies eat fruits and nectar; however the larvae feed on nestling chicks, including the important finches. This is an extreme risk impact 18 bird species in Galapagos, with up to 100% of hatchlings in nests dying due to their larvae. The mangrove finch has been exceptionally badly affected with population numbers dangerously low. Many groups on Galapagos and further afield are working to eradicate this invasive species.